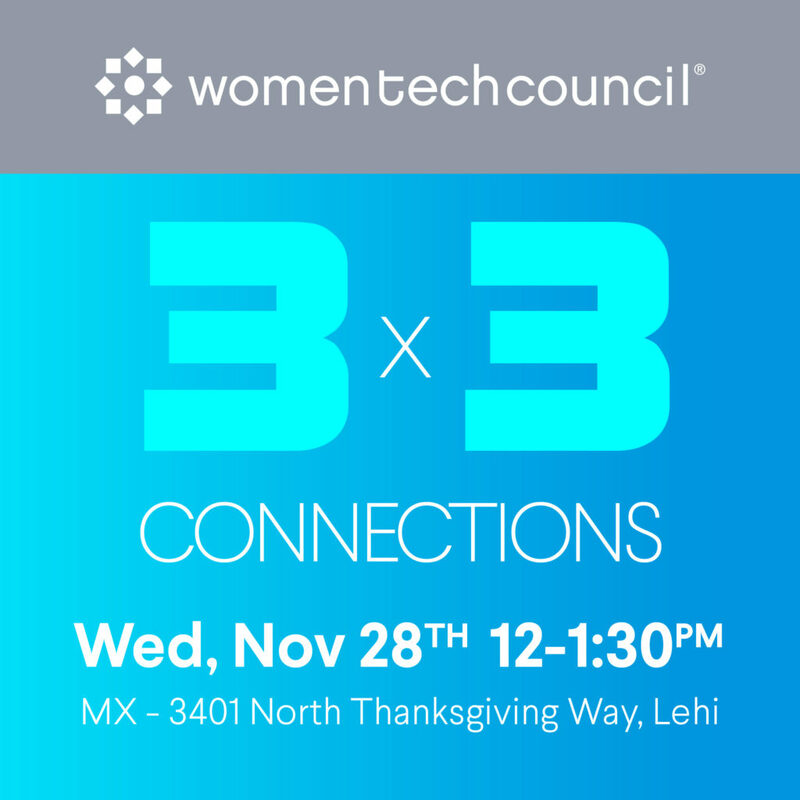 The Women Tech Council will be holding its first 3×3 Connections event — a new series focused specifically on expanding networks for women and men. This will be a chance to hear from industry experts while engaging in active networking to build mentoring and career opportunities. At each 3×3 Connections event, there will be three topics led by three connectors. The connectors create a dynamic environment where everyone interacts with the connectors and others in their group. This first event is from noon to 1:30 p.m. Nov. 28 at MX in Lehi, and will feature Jacqueline White, Scott Jensen and Susan Cashen, three sales tech and marketing connectors. They will discuss executive pathways, tech marketing, and sales and technology builders. To register, visit Eventbrite and search for Women Tech Council.